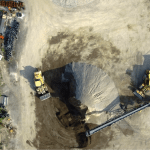 Road Cross Section: 20m Interval vs UAV Survey | Canadian UAV Solutions Inc. Road Cross Section: 20m Interval vs UAV Survey | Canadian UAV Solutions Inc. 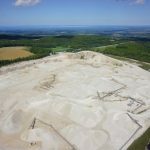 Here at Canadian UAV Solutions accuracy and precision are our highest priority. 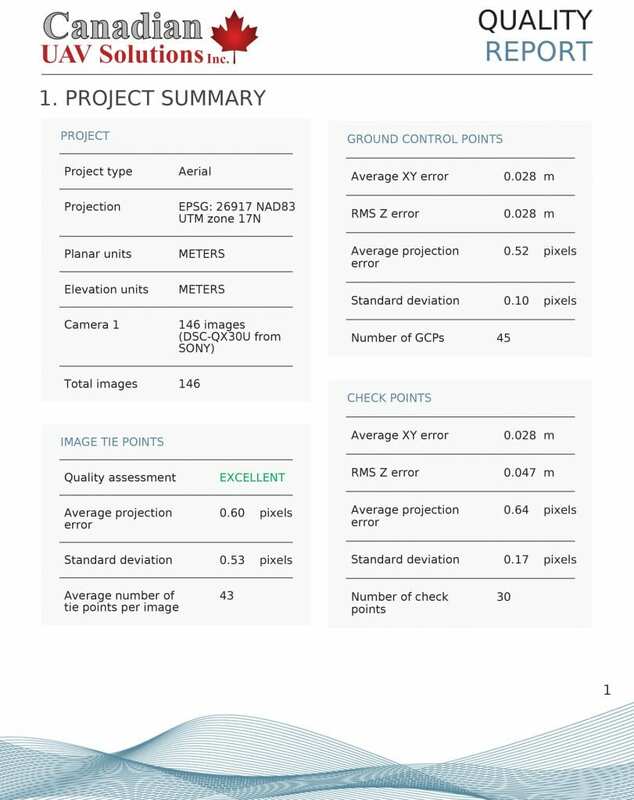 Below is the front page of a sample data report generated while performing a Photogrammetric survey of a typical road. A standard road cross section survey was performed: Edge of pavement and center line observations collected at 20m intervals. An Aerial Survey was flown with a GSD (ground sample distance) of 2cm, front overlap of 80% and side of 70% using our Military Grade, Transport Canada Compliant, Aeryon Sky Ranger. Using less than a third of the cross section observations within the Photogrammetric model generation, we were able to achieve comparable accuracy on our Control Points vs standard high precision survey equipment. To fully ensure quality, QC/QA was performed on 30 Check Points, independent points not used in the model generation. These points achieved accuracy of 3cm on XY, and sub 5cm on the Y. A standard 20m cross section TIN cannot compare: lower the time, costs, and improve the completeness of your pre-engineering survey today!